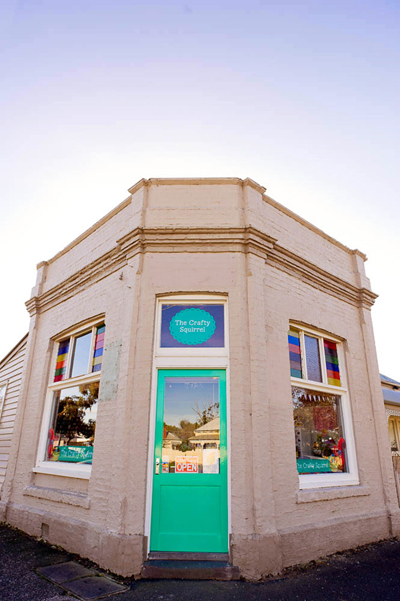 FK chats to the lovely & multi talented Morgan Wills about her Ballarat shop and studio space The Crafty Squirrel. 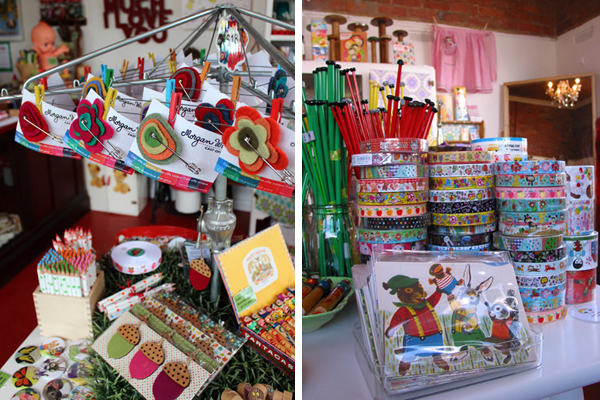 Tell us about your store and working studio, The Crafty Squirrel and what things we can expect to discover? I have spent the last 20 years or more collecting and crafting so The Crafty Squirrel is a culmination of that collecting history and quite eclectic and very nostalgic! 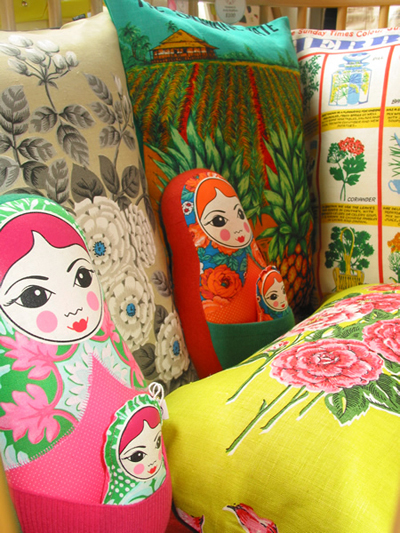 A wonderful mix of old and new sit side by side – unique gifts, cool craft kits, homewares, vintage fabrics, gorgeous haberdashery and of course all of the work created under my eponymous label – Morgan Wills. 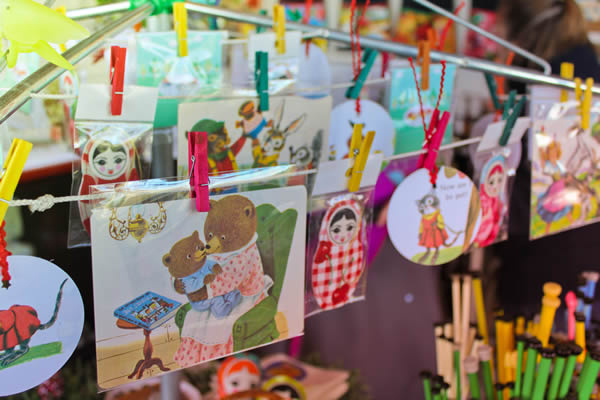 I have also got lots of cute Japanese and Korean stationery, French sewing notions, American embroidery kits and lots of vintage aprons, souvenir tea towels and tablecloths. The shop front is only open two days a week at the moment (Friday 10am to 5pm and Saturdays 10am to 4pm). This is because the shop is also my studio and during the week I am busy filling wholesale orders and making product for the shop, online shop/s and design markets like Finders Keepers! I studied Interior & Furniture Design and worked briefly in that field before working in Event Management for 12 years. 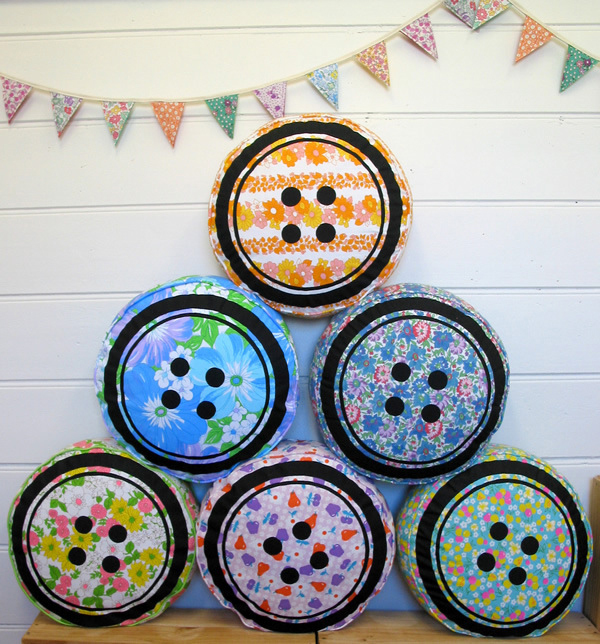 When I went on maternity leave with my first baby in 2004 I had more time to sew and get crafty! One thing led to another and eventually in 2008 I had a little business… well enough of a business to stop working in the Event Management job and start working full time and then some on my ranges under my own label. After wholesaling for a number of years and popping up at various design markets I decided that the next step for me was to have my own shop. 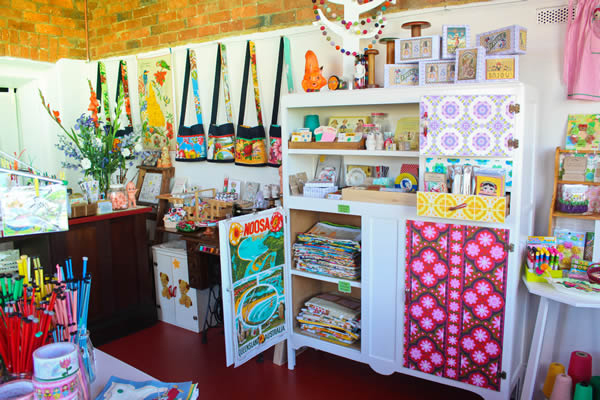 I knew that I needed to combine the shop with my studio and after quite a long and extensive search we found the perfect place to do that in the lovely regional city of Ballarat – we then made the tree change from Melbourne at the beginning of 2011 and got down to business! I love handcrafted products that have been really well executed or are unique to the person who creates them. I have a number of products in store that I sell time and time again because they really are amazingly well done in terms of quality and beauty. Often customers are just delighted when they see them – and that makes me happy. 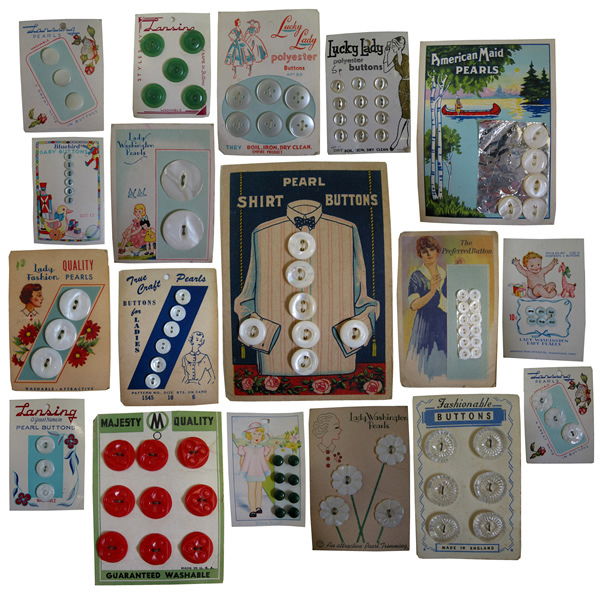 I also have a soft spot for vintage haberdashery – buttons, buckles, needle books, ric rac, zips, knitting needles… I could go on and on! So I collect a lot of this and have it for sale in the shop too. Often it is the graphic design component of the packaging that catches my eye – but also the quality and vintage colour ways are appealing. Sometimes I think that the shop is catering to a very nostalgic inner child who loves Japanese stationary! What do you love most about running The Crafty Squirrel? I love meeting new people and talking to them about what they like to make and the memories they have of their Mothers and Grandmothers sewing, knitting and crafting. I have customers who come from all over the place now and sometimes when they open the door to come into the shop they just gasp… I don’t think they can quite believe it when they first see it. Probably because there is so much stuff to be seen and digested… but also because it is so colourful. It’s a bit like being a kid in a lolly shop again. I also love being able to make smaller quantities of things that I can just sell in the shop and not have to make hundreds of them. What is the design & art scene like in Ballarat? I have been very impressed with Ballarat in terms of arts & culture. It is a wonderfully creative community and I feel as though I am surrounded by such a fantastic bunch of like-minded individuals. The Ballarat Art Gallery is fantastic and one of my favourite places to take visitors and we also have a really great design market a few times a year called the Design Exchange which pulls a pretty big crowd and some impressive stallholders. It seems like every week there is an event or opening to go to – there is definitely never a dull moment! Finding a space where I could have a shop front, office and studio all at the same premise. It took a few years to find it and a massive move to the country to make it happen. It cost a pretty penny to renovate the shop and then I had to source enough stock to make the shop really full and interesting! Being in small business is so rewarding and also so very tiring. It never leaves me – I live and breathe it all day every day and it seems there are NEVER enough hours in the day! The Crafty Squirrel seems to be going from strength to strength really which I am chuffed about. This year I am looking forward to getting out and about to some new design markets and also taking some time to go on treasure hunting expeditions near and afar – this is my very favourite thing to do! Such a perfect little store and such an amazing lady! 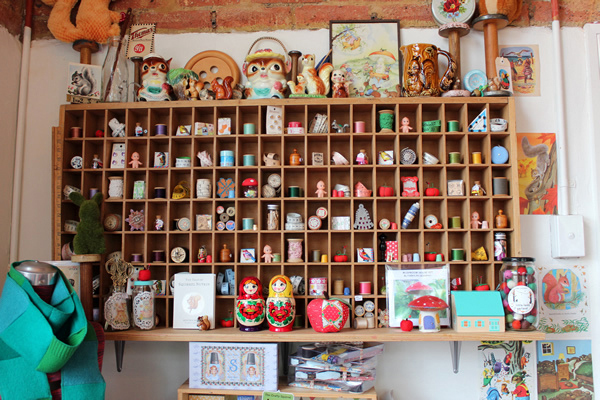 I love the colour, the clutter and all the crafty goodness. THE BEST.